From now on, I will be using the title "Outfit Diaries" for my outfit posts. It's such a dilemma trying to think about a certain title for all my posts. I'm really bad at making title posts that are catchy. So sorry for that, so from now on I'll just use that and and a related note on the event or something. Haha. 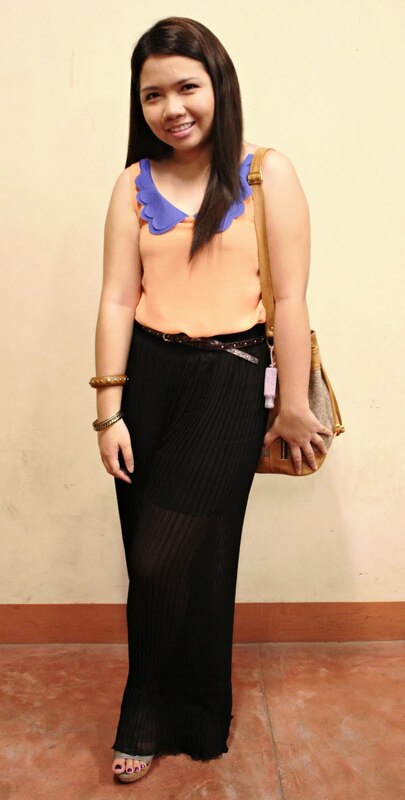 Anyhoo, so this is what I wore during the Laces&Bows Shop fashion Show during the acquaintance party of Silliman University's College of Business Administration. *I'm not really active on Lookbook, but hey if you have time please hype my looks. It will be greatly appreciated. Thanks!